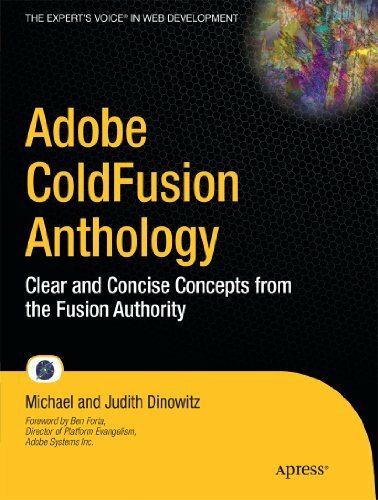 Adobe ColdFusion remains one of today’s significant Web Services tools and frameworks, and stands to become even more important as a possible primary tool for cloud development as well. As important as ColdFusion is and continues to become, we thought it would be a good idea to tap the leading authority on ColdFusion, the Fusion Authority. We asked this community to compile the most important issues in their developer and user experiences into one single volume—an anthology of the most current technical articles published in the Fusion Authority Quarterly Updates. This book is tailored for ColdFusion developers specifically, but many articles may be of use to general programmers as well.